I started writing quite a few years ago and almost by accident while I was still teaching. I recall reading a dreadful book one dismal October half-term and thinking (as I’m sure so many of us have done at one time or another) ‘I could do better than that!’ So I wrote a Georgian novel as an academic exercise, purely to see if I actually could – and managed to get an agent on the strength of it.Of course it’s never quite that simple and that first book didn’t get published until much later. But my next attempt, The Marigold Chain, was published by Collins … and that gave me the necessary encouragement to continue writing. As most of my regular readers are aware, over the next few years I published half a dozen titles in the conventional way with various publishing houses. And then, mainly because publisher and market constraints had made writing a chore rather than a pleasure, I stopped doing it.It was the changes brought about by e-publishing that brought me back just over three years ago and I’ve found it utterly liberating. I began by re-issuing my back catalogue, without much intention of moving beyond that. But one of the unexpected joys of e-publishing is interaction with readers and so, once I’d made my earlier titles available, I went on to write two new novels … and am now taking the exhilarating plunge into audio. My books fall into two categories; detailed historical fiction set in England during the mid-seventeenth century and lighter, less complex Georgian romances. There are currently three of the latter – the Rockliffe series. It began with the story of Amberley and Rosalind in The Parfit Knight and continued (due to my having falling in love with Amberley’s best friend, the Duke of Rockliffe) in The Mésalliance. Then, in March 2015, I published a third in the series – The Player. These are all character-driven stories and contain a strong romance, along with (I hope!) some humor. I thoroughly enjoy writing them. Consequently, when I felt that it was time for something new and that audiobooks would be the perfect answer, I decided that the complete Rockliffe series was the obvious place to start. I’ve been incredibly lucky to engage the superbly talented Alex Wyndham as narrator for the series. Anyone who has listened to his previous work will know how brilliant he is at … well, just about everything really. The characters are always distinct, his female voices are entirely believable and his narrative style, both beautifully-paced and fluid. He’s also a joy to work with! The Parfit Knight is available for download now, The Mésalliance is already well into production and The Player is all set to follow them in due course. As for the English Civil War … my love-affair with the seventeenth century began a long time ago. It’s a period rich in drama and remarkable people – not all of whom are well-known names. I enjoy mixing real figures with my fictional characters and I’m a bit obsessive about historical accuracy. The Round heads & Cavaliers series, currently comprises three books; The Black Madonna, Garland of Straw and The King’s Falcon. I’m currently completing a fourth title, Lords of Misrule – featuring Eden Maxwell’s long-awaited HEA – for release this spring. Related to these though not technically part of the series, is A Splendid Defiance – a book which is particularly dear to me. Its background is the true story of one English castle and the men who held it against impossible odds … while at its fictional heart is a seemingly equally impossible love-story. Like the Rockliffe series, I hope Defiance will be transformed into audio later this year. Finally, my foray into the world of audio has by turns been fun, exciting and scary. I’ve learned a lot along the way and discovered the unique pleasure of hearing my words brought to life by a first-class narrator. And really, as an author, it doesn’t get much better then that. Stella Riley is a British author of historical novels. Having trained as a teacher and worked as a primary-school music and drama specialist in London, she has lived in various UK locations but has now settled in Sandwich, Kent. She enjoys reading, dancing, theatre and travel. Her preferred period is mid-seventeenth century England and her Civil War novels reflect this in their vast historical detail. She is also the author of the Rockliffe trilogy of Georgian romances which she claims to write ‘for fun’ and which she is currently having transformed into audiobooks, narrated by Alex Wyndham. Her writing has been described as “exciting, often funny, romantic, poignant and intelligent” and her books have received numerous five-star reviews. 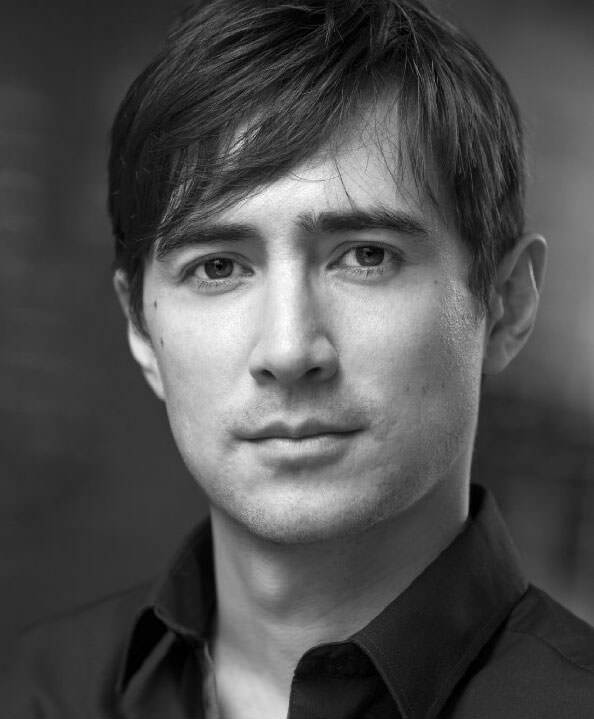 An Oxford University and Royal Academy of Dramatic Art graduate, Alex Wyndham has voiced everything from Apple TV campaigns to fertilizer instructions. He has starred in numerous BBC 4 radio plays, and narrated documentaries for Channel 4 and The Discovery Channel. He started recording audio books a couple of years ago – and fell in love with it. Alex also has a successful screen career and has starred in several BBC and HBO shows including the Emmy winning “Little Dorrit” and “Rome”, and in various films including Kenneth Branagh’s “As You Like It”. Most recently he played a louche surgeon in The Crimson Field mini-series and has just had his first stab at starring in a video game “We Happy Few” about a dystopian 60s England. This entry was posted in Guest Post and tagged Alex Wyndham, Audiobook, Guest Blogger, Historical, Historical Romance, Stella Riley.